Dermatologist-recommended brand for more than 100 years, helping you make skin care a part of your daily routine. Put the health of your Skin First. 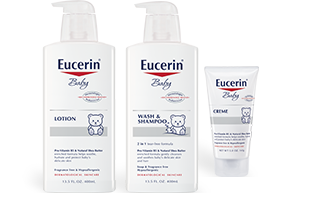 I am SO excited that Eucerin now has an entire baby product line for their delicate skin! When I first started earning my own money, I would allow myself to ‘splurge’ on one item per paycheck and one of my first purchases as a teen was Eucerin lotion. If you have very dry skin like I do, then you KNOW HOW MUCH YOU NEED good lotion. Now parents and caretakers alike want what’s best for their baby, and that includes their skin. 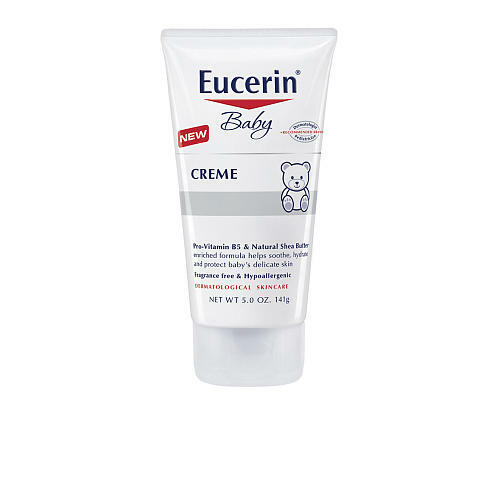 Eucerin Baby products consist of Pro-Vitamin B5 and Natural Shea Butter elements. The fragrance and paraben free formula is recommended by pediatricians to gently soothe and protect delicate skin, making it the number one choice when caring for your baby. We may no longer have a baby in our house, but we still use products for sensitive skin (both my girls got my dry skin, too….boo! ), so we are loving the new products. 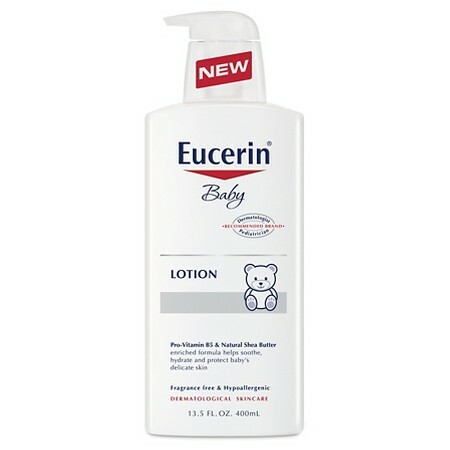 A huge thumbs up to Eucerin for their own baby product line! Yay! The Pro-Vitamin B5 & Natural Shea Butter enriched formula helps soothe, hydrate and protect baby’s delicate skin. 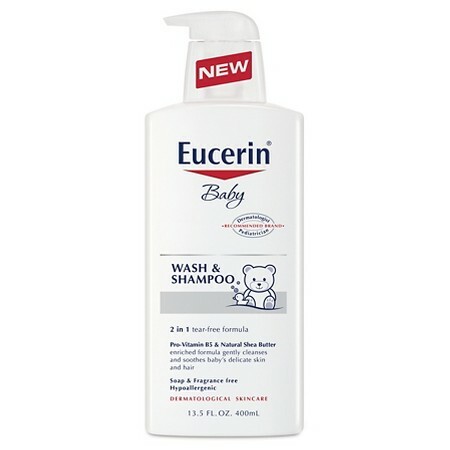 The Pro-Vitamin B5 & Natural Shea Butter enriched formula gently cleanses baby’s delicate skin and hair without drying.